The Eighth Situ incarnation, Chokyi Jungney, otherwise known as the Situ Panchen, was born in Derge, Kham, in the Earth Hare year. He studied and received the full transmissions from the 8th Shamar Chökyi Dhöndrup and the Twelfth Karmapa Changchup Dorje. He also studied extensively with many other teachers such as Rikdzin Tsewang Norbu. Chökyi Jungney went to see the Karmapa and Shamar Chökyi Dhöndrup when they were on the journey to China sometime around 1735. He was one of the most renowned scholars and meditation masters of Tibet. One of his major activities was editing and seeing to the printing of the woodblock editions of the Kagyur and Tengyur project of the King of Derge. This production is now well-known around the world as the Derge edition, which is considered as one of the best original prints of these central texts of the Tibetan tradition. The activities of Situ Panchen flourished widely and he restored or established monasteries, retreats, and study centers all over Tibet and Jang. Situ Panchen recognized and enthroned the 13th Karmapa and the next incarnation of Shamar Rinpoche. 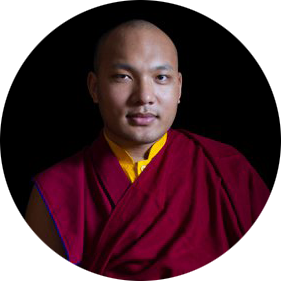 He gave the full transmission of the Kagyu lineage to the Thirteenth Karmapa, Düdul Dorje. These details about Chokyi Jungney are compiled from Karma Gyaltsen’s book called kam tshang yab sras dang dpal spungs dgon pa, Szechwan edition, pp. 85 – 88 / 167 – 214. May this be virtuous!